Welcome to Cozydecor,we sincerely hope you have a good time here. 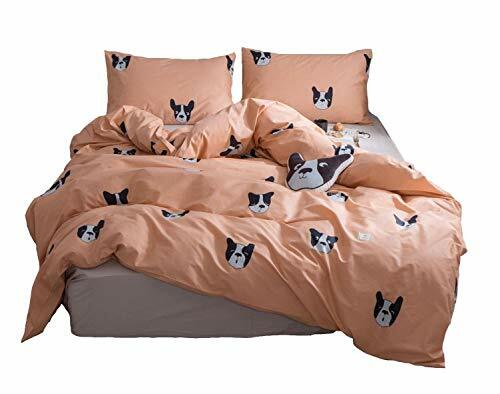 -100% Soft Cotton Bedding Cover 3 PC Set is comfortable,breathable,sweat,hypoallergenic,tonal downy elegant,good for kids boys girls,babies. -Our duvet set made in special technique,make old processing,it will be more beautiful and comfortable,anti-wrinkle,fade resistant. Note,As different computers display colors differently,the color of the actual item may vary slightly from the above images. Twin(3pc): 1 Duvet Cover (68x86 inches) and 2 Pillow Sham (20x26 inches). High Quality Cotton 100 Percent, Assure You a Super Soft Feeling and a Great Night Sleep. Package: 1x Duvet cover + 2x Pillow shams (NOTE: Comforter and Sheet NOT included). SIZE: 3PCS Queen Duvet Cover Set: (One 90"x90" Duvet Cover + Two 20"x26" Pillow Shams);(NOTE: Comforter and Sheet NOT included). If you have any questions about this product by Cozydecor, contact us by completing and submitting the form below. If you are looking for a specif part number, please include it with your message.